A few years ago, Nike released the Hyper Adapt which introduced self-lacing technology to the world. Unfortunately, for those who wanted to get their hands on such tech, you needed a whole lot of money. At a retail price of over $700, people just couldn't afford what Nike was offering. Mix that price in with limited quantities and you have a resale nightmare on your hands. 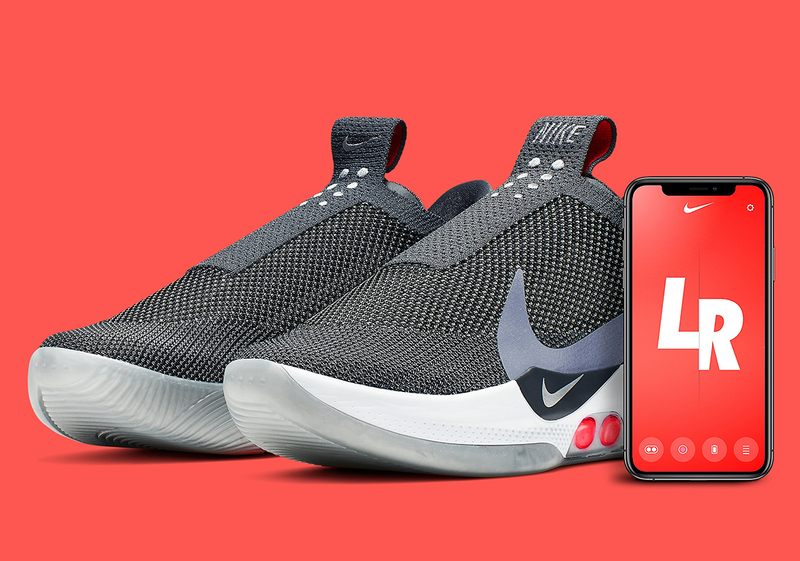 Now, in 2019, Nike has an updated version of the Hyper Adapt, called the Adapt BB which even comes with its own phone app. With the price cut in half at $350, the Adapt BB looks promising for those who missed out on the technology the first time. So far, only one colorway of the shoe has released, although the Beaverton brand is set to change that as a new model will be coming out next month. This new version is being given the color code of "Dark Grey/Multi-Color." As you can see from the images, the shoe's upper and midsole is dressed in different shades of grey. 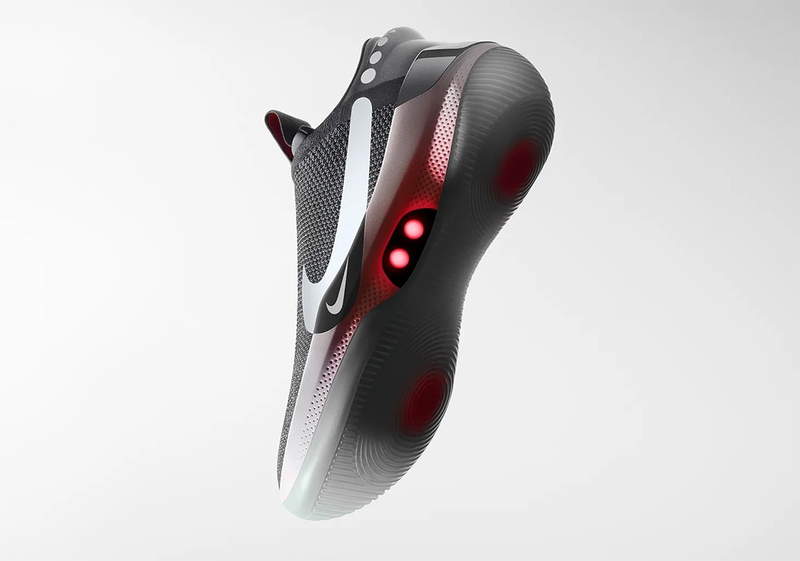 When the shoes are turned on, there are red lights that appear on the midsole and the bottom of the sneaker. 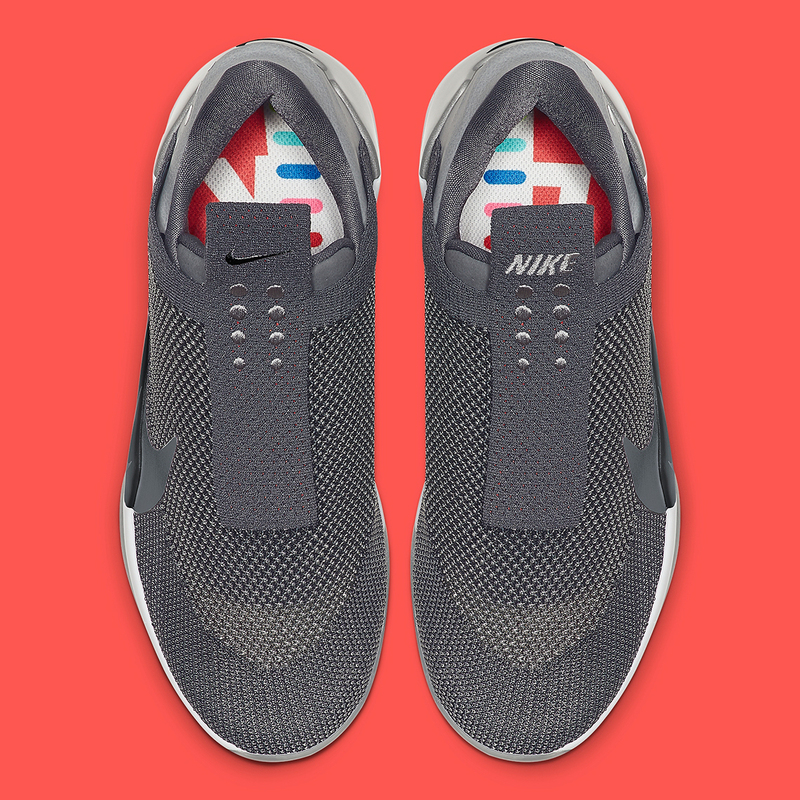 As for the multi-color elements, that appears on the insoles. If you're looking to cop these, they will be available on the Nike SNKRS App as of April 16th for $350 USD, according to Sneaker News.